A heavy-duty alkaline cleaner for removal of ingrained dirt, grease, and wax on all unglazed ceramic and porcelain tiles. A very effective grout cleaner for all non-polished ceramic, porcelain and stone installations. 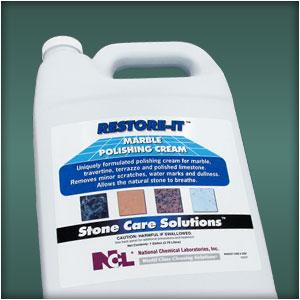 A simple-to-use restoration product for crystallizing marble, terrazzo and other polished stones surfaces. Produces an incredible shine while resisting scuffs and scratches. Dries as you buff. VOC compliant. Quarts are packaged with 1 trigger. A ready-to-use, viscous cream-based solution for polishing marble, terrazzo and other polished stone. Produces a natural high shine while removing minor scratches, dullness and water marks. Does not burn the surface and allows the stone to breathe. VOC compliant. Quarts are packaged with dispenser tops. Classified by UL for slip-resistance. An all-natural, highly-concentrated soap cleaner designed for regular cleaning and conditioning of all stone surfaces. Safe on all stone surfaces. Forms a dirt-repellent barrier and can be buffed to a beautiful sheen. 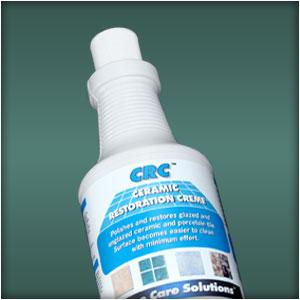 CRC™ - Ceramic Restoration Crème Polishes glazed and unglazed ceramic and porcelain tile. Contains highly-refined carefully-selected abrasives to produce a bright luster on ceramic and porcelain tiles. Revolutionary “one-step” crème will produce a shine up to 4 times faster than the two-step powder-systems on the market. Scours ceramic tile to remove years of built-up stains and mineral deposits. Tile and grout will look better than new with minimum effort. 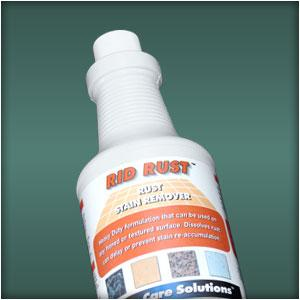 A specially formulated, stain-specific rust remover to be used on marble, granite, limestone and other stone surfaces. Quarts are packaged with 1 trigger sprayer per case. 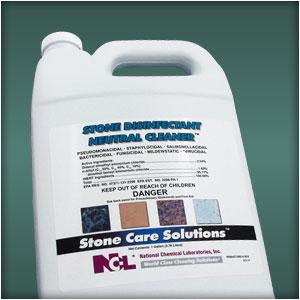 A safe-to-use, mold & mildew remover for marble, granite, limestone and other stone surfaces. 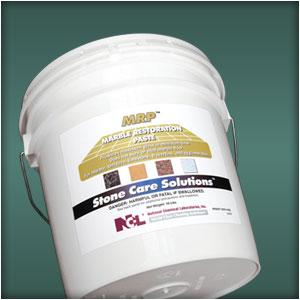 Also effective on ceramic, porcelain, clay tile, concrete and other masonry surfaces. Works instantly! Odorless. Quarts are packaged with 1 trigger sprayer per case.